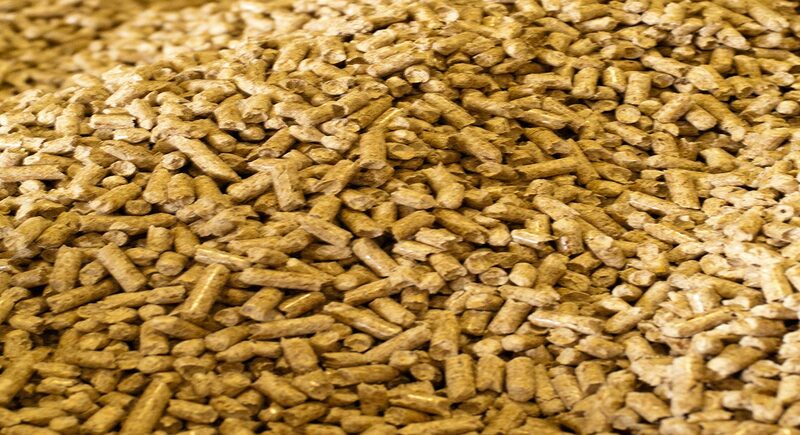 Biomass refers to the organic material that is used for production of energy. This energy production process is referred to as Bioenergy. Biomass is primarily found in the form of living or recently living plants and biological wastes from industrial and home use. Due to the breadth of the term, the physical composition of biomass is inconsistent, but generally includes carbon, water and organic volatiles. Combustion: the process by which flammable materials are burned in the presence of air or oxygen to release heat. It is the simplest method by which biomass can be used for energy. In its rudimentary form, combustion is used for space heating (i.e. a fire for warmth) but can also be used to heat steam for electricity generation Biomass Energy Centre.(BEC). Combustion. February 2015 http://www.biomassenergycentre.org.uk/portal/page?_pageid=75,17502&_dad=portal&_schema=PORTAL Biomass Energy Centre.(BEC). Combustion. February 2015 http://www.biomassenergycentre.org.uk/portal/page?_pageid=75,17502&_dad=portal&_schema=PORTAL Biomass Energy Centre.(BEC). Combustion. February 2015 http://www.biomassenergycentre.org.uk/portal/page?_pageid=75,17502&_dad=portal&_schema=PORTAL . Gasification: is the conversion of biomass into a combustible gas mixture referred to as Producer Gas (CO+H2+CH4) or Syngas. The gasification process uses heat, pressure and partial combustion to create syngas, which can then be used in place of natural gas Aboriginal Ankur Corporation (AAC). What is Biomass Gasification? February 2015 http://aboriginalankur.com/category/what-is-biomass-gasification/ Aboriginal Ankur Corporation (AAC). What is Biomass Gasification? February 2015 http://aboriginalankur.com/category/what-is-biomass-gasification/ Aboriginal Ankur Corporation (AAC). What is Biomass Gasification? February 2015 http://aboriginalankur.com/category/what-is-biomass-gasification/ . Pyrolysis: Consists of thermal decomposition in the absence of oxygen. It is the precursor to gasification, and takes place as part of both gasification and combustion Biomass Energy Centre.(BEC). Pyrolysis. February 2015http://www.biomassenergycentre.org.uk/portal/page?_pageid=75,17506&_dad=portal&_schema=PORTAL Biomass Energy Centre.(BEC). Pyrolysis. February 2015http://www.biomassenergycentre.org.uk/portal/page?_pageid=75,17506&_dad=portal&_schema=PORTAL . The products of pyrolysis include gas, liquid and a sold char, with the proportions of each depending upon the parameters of the process. Some jurisdictions - especially those with sustainable forestry initiatives - have declared biomass a "carbon neutral" energy source. This is based upon the logic that carbon emissions from burning biomass will be recaptured by the plants grown to feed biomass reactors in the future, thus forming a carbon cycle for the plant Vieira da Rosa, A. (2013). Fundamentals of Renewable Energy Processes (3rd ed.). Oxford, UK: Academic Press. Vieira da Rosa, A. (2013). Fundamentals of Renewable Energy Processes (3rd ed.). Oxford, UK: Academic Press. . The world's most energy-poor peoples and regions still rely on biomass for the majority of their energy needs Bridge, G., & le Billon, P. (2013) Oil. Cambridge, UK: Polity Press. Bridge, G., & le Billon, P. (2013) Oil. Cambridge, UK: Polity Press. . The lack of appropriate ventilation mechanisms for burning biomass is a major health concern and contributes to short life expectancies in much of the developing world. a, b Bridge, G., & le Billon, P. (2013) Oil. Cambridge, UK: Polity Press. ^ Vieira da Rosa, A. (2013). Fundamentals of Renewable Energy Processes (3rd ed.). Oxford, UK: Academic Press. Waste to Energy (WTE), is a term that is used to describe various technologies that convert non-recyclable waste into usable forms of energy including, heat, fuels and electricity.